Feel the cool waters splashing over you as you are immersed in color and refreshment. Pure joy. 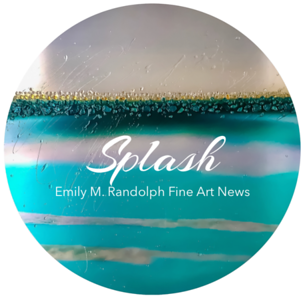 'Splash Sphere' is a mixed media seascape on aluminum with gold, aqua, sapphire and copper reflective glass with Emily's unique 'Resin Splash' technique. This artistic process enhances the contrast between luminous metals and glossy resin.